Do you want to contribute to Westworld!? Check out this contest! 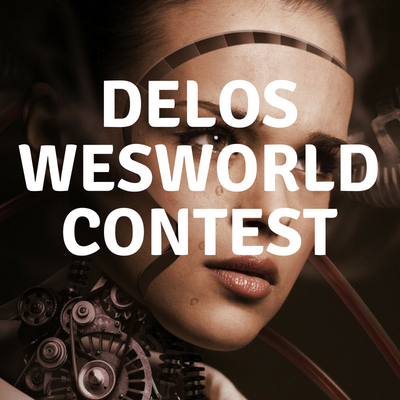 The contest is the Delos AI Coding Contest for Westworld. Delos has several new openings at Westworld for AI coders. The winners of this contest will be considered for those open positions! The contest starts on Friday, June 22, 2018 at noon and ends Friday June 29 at noon. If you have any questions please send Professor Hinton an email at thinton@uat.edu. Students must create a useful AI program in seven days, and present their product in the theater at noon on the 29th. Judges will include faculty and other professionals. The project must do something useful, not just be a demo of making AI work. A project that has multiple AI abilities will usually win against one that has fewer. The contest will be from Friday the 22nd to Friday the 29th. Contestants can use any coding language they choose. You can use AI, restful API’s or write your own AI code from scratch. However, only the AI, innovation and user experience are judged, not the level of difficulty of your code. There are three TECH prizes. On Friday, June 29that noon, the winners will get to choose their prizes. First place winner can choose from one of the three prizes. The second place winner will then pick one of the two prizes left, and the third place winner will receive the last remaining prize.